Concluding our three-part blog series Your Rights against Abusive Debt Collectors: The Fair Debt Collection Practices Act, below, we will wrap up our discussion regarding the rights that borrowers have according to the terms of the FDCPA. 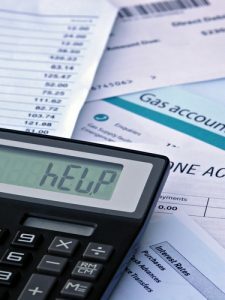 While the first two parts of this blog series focused on highlighting some general terms of the Fair Debt Collection Practices Act, as well as what debt collectors are specifically prohibited from doing, here, we will point out what debt collectors MUST legally do when contacting you about an alleged outstanding debt. When overwhelming debt is just as big of a problem as abusive debt collectors, contact Denver Bankruptcy Lawyer Arthur Lindquist-Kleissler for real debt relief. File any lawsuit against you in the jurisdiction in which you live or in which the original contract for the debt was signed. The Federal Trade Commission (FTC) is responsible for enforcing the Fair Debt Collection Practices Act. Therefore, if you believe that a debt collector has violated any of your rights under the terms of the Fair Debt Collection Practices Act, it’s critical that you contact the FTC to report the violation. If overwhelming debt is just as big of a problem for you as debt collectors are, contact Denver Bankruptcy Lawyer Arthur Lindquist-Kleissler today for help getting real debt relief and a financial fresh start. For more than 34 years, Mr. Lindquist-Kleissler and the other legal professionals at Lindquist-Kleissler & Company, LLC have been providing both individuals and businesses with the highest quality legal services for all of their debt relief and bankruptcy needs (including civil litigation matters associated with bankruptcy). From simple to complex bankruptcy cases, Mr. Lindquist-Kleissler can always be trusted to maximize utilization of Colorado Bankruptcy Law to effectively guide his clients through bankruptcy and help them achieve the best possible outcomes to their cases. To learn more about how we can help you, set up a free 30-minute consult with us today by calling (303) 691-9774 or by emailing us using the form on this page. You will pay nothing up front to obtain trusted, professional advice regarding your case and your options.